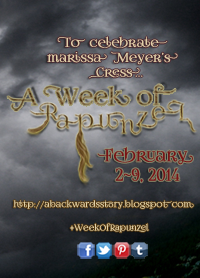 When I heard that Bonnie of A Backwards Story was hosting A Week of Rapunzel in honor of the release of Marissa Meyer’s Cress, I knew that I just had to join! 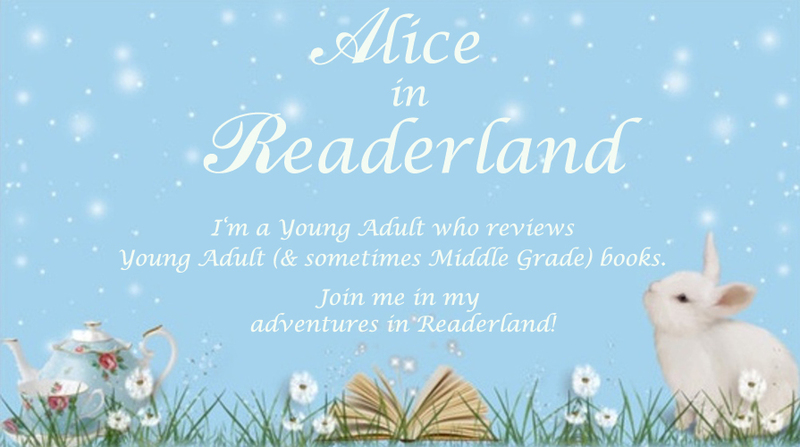 The Lunar Chronicles is my favorite series and I also enjoyed participating in A Week of Little Red last year! Since Bonnie and I both love nail polish/nail art, I thought I’d try to create two different Rapunzel designs from my favorite Rapunzel retellings, Cress and Tangled! I decided I wanted to make one nail reminiscent of wires (or slightly like a very pretty inside of a computer), since Cress was a tech expert and hacker. I also figured that if the Lunar’s Direct Communication Chips looked like “tiny gemstones” according to Cinder then the futuristic-looking insides of their machines might look glamorous too. The wires were also a nod to Cinder. Of course, the silver crescent moon on my thumb is for Cress. Tangled is also a retelling of Rapunzel, as well as being a favorite Disney movie of mine, so i knew that I also had to try a Tangled design for A Week of Rapunzel. Since the sun symbol played such an important part in the story, I painted little suns on my nails. You can’t really tell from the pictures, but I also sponged on three different kinds of purple for a textured background, inspired by the town scene where Rapunzel paints the sun symbol with different purple paints. Are you wearing nail polish now? What’s it look like? I love your Cress nail art! The blue color is stunning and looks great with the silver. I am not huge nails fan, I don’t think I could wear fake ones..lol. I can’t get my own nails to grow so I don’t do much with nail polish. I think my figures look strange with polish when I do use it because I don’t hardly use it. :) Yours are cool! I don’t think I could wear fake nails either…especially with all the typing I do. Your nail art is so pretty, and your nails are so long! 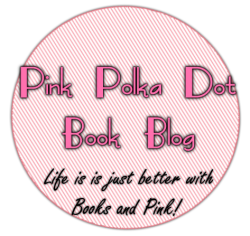 Have you read Cameron Dokey’s retelling of Rapunzel, Golden? No, I haven’t read it yet, I’ll have to go look it up.